Kim O'connell used "Boy with a Rose" image for her DT work! Such a charming young man! 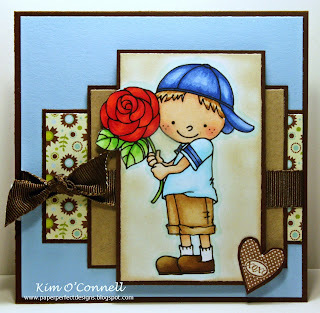 Love the layout and his blue hat! Adorable! He is so beautifully coloured in too - thx for sharing Kim!! Have a lovely week honey! A fabulous card, love the colours!